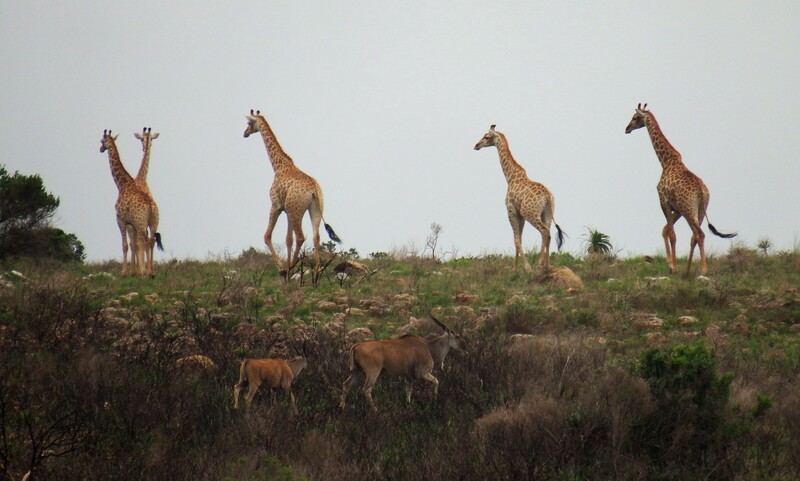 Our cottages are located within the 9000ha Fort Governor's Estate just outside Grahamstown. With fantastic views out to the reserve from the privacy of your own deck, you can enjoy a romantic retreat or a relaxed getaway with a group of friends. So sit back, cool off in the pool, dig your toes into the sea sand of our boma, pour a drink and relax around a roaring fire. 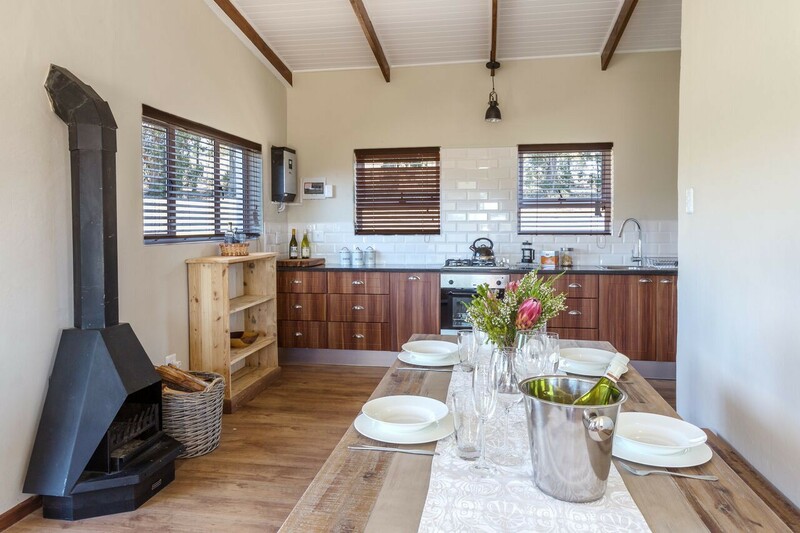 The open plan layout of each chalet combines a large, modern kitchen area with gas stove and oven and ample workspace, a casual dining area with a wood-burning fireplace and a comfy L-shaped lounge area that looks out over your private deck to the veld beyond. 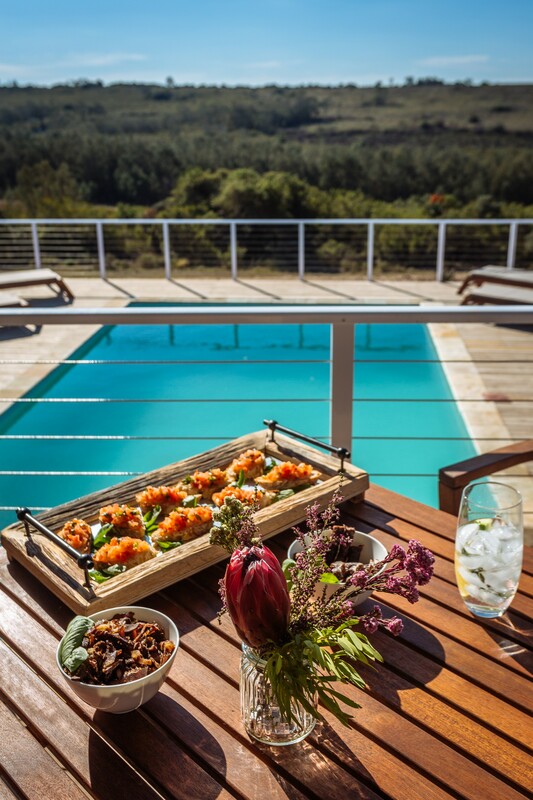 Each deck has its own private braai area and outdoor dining table as well as sun-loungers. 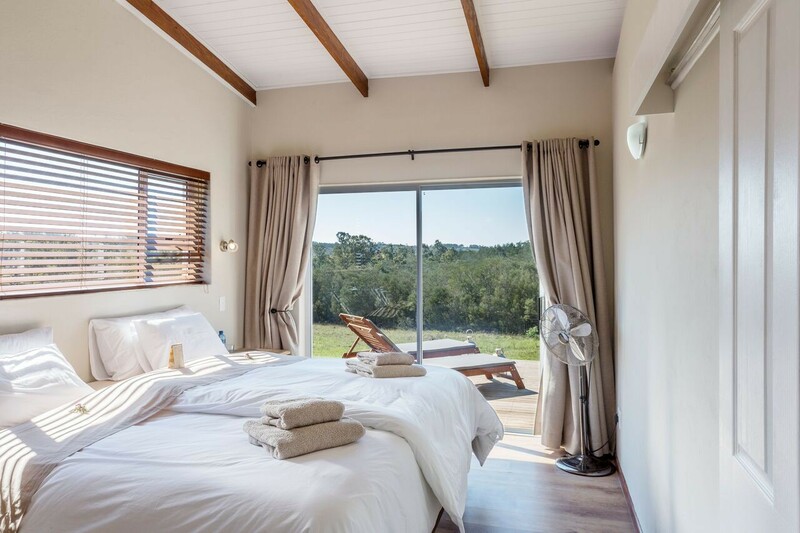 Each chalet has a spacious bedroom with a super-king bed (that can also be converted to twin beds if you let us know). The bathroom leads off the bedroom with a shower, toilet and basin, complete with our luxury, Eco-friendly toiletry range. We are able to accommodate 2 - 3 adults per chalet (with the 3rd adult sleeping on the sofa in the lounge). Alternatively, families with children under 12 would be able to sleep 2 smaller kids on the L-shaped sofa. Please let us know when making your booking. We have a central entertainment building which has a swimming pool, surrounded by deck and sun-loungers. Inside we have a communal kitchen which you are free to use as a group (or we can arrange a chef if this tickles your tastebuds!). 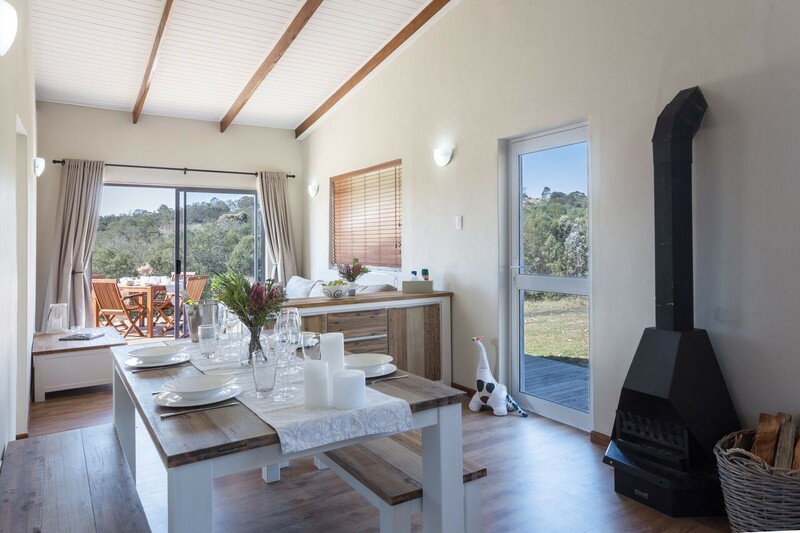 There is an open plan bar, dining room and lounge area with a wood-burning fire to keep you toasty warm during the cooler months.